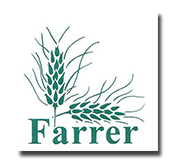 Farrer Primary School and Preschool welcomes all students from the suburb of Farrer and parts of Isaacs as identified in our priority enrolment area. You can find maps and information regarding PEAs at our DET website. All prospective enrolments, new families and out-of-area families are encouraged to make an appointment with our Principal to discuss their request to attend Farrer Primary School. Acceptance of out-of-area students is made at the discretion of the Principal and is made dependant on school capacity, class sizes, and the schools projection of success for the student and their place on our out-of area- waiting list. We encourage you to pop into our front office, collect an Enrolment Pack and make an appointment with our Principal. Lives outside PEA with siblings currently enrolled at school and contribute positively to the school.